When you face troubles with your garage door torsion spring in Kenmore, Washington, dial the number of our company to get immediate assistance. We rush to serve the spring repair needs of our customers to prevent worse problems. With experience in all torsion spring systems and brands, our company guarantees first-class service. It’s important to fix spring troubles fast but not on the expense of quality. When you turn to GDS and Repair Kenmore WA for spring repairs, you can be sure that we pay attention to both: quality & speedy response. 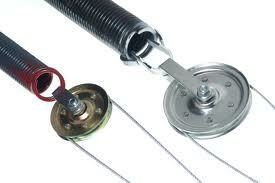 We are at your service for same day torsion spring repair in Kenmore. Always feel free to contact our company at the first signs of spring problems. When you start hearing loud noises or notice that the spring sags, contact us. If the spring coils start getting rusty, make an appointment for service. It’s only natural for elements and weather to take their toll on the spring coils, but you don’t have to suffer the consequences. Avoid loud noises, erratic garage door movement, and premature torsion spring replacement by scheduling regular services with us. What can a garage door repair Kenmore WA expert do for your spring? Are the bearings, brackets and the shaft worn? Do the coils seem damaged and loose? Call us for garage door torsion spring replacement services. When springs are replaced before they snap, you avoid the hassle of not being able to move the door and prevent accidents or property damage. Of course, our company is at your service if you want to replace the broken torsion spring. We are at your service if you want to convert extension springs to a torsion spring. Trust that the pros appear on time and fully equipped in order to provide any requested spring service. Since having a well-balanced garage door is essential for your safety, call us if it doesn’t open or close right. A pro will make the necessary torsion spring adjustment. The techs always adjust the spring when they come for replacement service too. 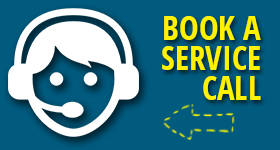 Services are done by the book and as fast as possible. So don’t hesitate to contact us if you need Kenmore garage door torsion spring repair. Whatever you need, we’ve got you covered.